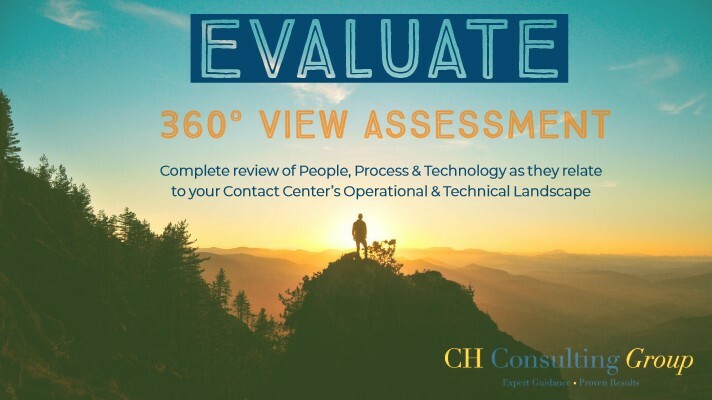 CH Consulting Group kicks off all engagements with a comprehensive 360° View Assessment of your organization and its contact or call centers. This assessment uses a customer-centric approach that thoroughly reviews current people, processes and technology. It offers a holistic examination of important departments such as Operations, IT, WFM, Training and QA. If you are looking for a more focused assessment, check out our 360 Lite Assessment or Customer Experience Report Card for more information. Please fill out the form to get more information on our different services and see how you can get started with our award-winning 360° View Contact Center Assessment!